It's Black History Month, which both gives me a break from having to come up with vaguely clever Friday Fictions and a chance to focus solely on some really amazing Black writers. Problem being, there are so many amazing books that I want to talk about : (( Good thing there are four Fridays in February : )) (Roller coaster of emotions, guys!) 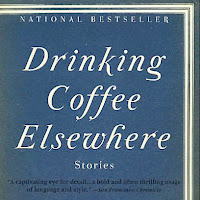 This week: short story collections. It blows my mind that this will be the first FF exclusively dedicated to short stories given my utter devotion to the genre. The brevity, the necessity of every last word! The discipline and lack of ego needed to pare down to the bare bones humbles and inspires me. I feel that it is an art-form seldom matched by the novel. There are short stories that in their perfection have moved me to tears, novels on the other (clunkier) hand have never. A short story is like looking through the keyhole into a room, the observer can only see such a limited picture. A short story writer then must make the most of that limited picture, using surgical precision to convey motivations, fears, triumphs, flaws, histories, whole lives. Look at it this way, Tolstoy tried to make me hate Anna Karenina for one thousand pages, and he failed. 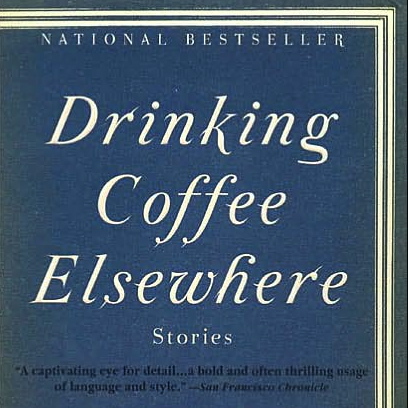 Drinking Coffee Elsewhere by ZZ Packer – Reading this collection was a little like getting good news, then getting better news, then even better news, almost to the point where you're like "just stop already, my heart can't take anymore!" Then you just feel a little sad because it's just too good? Too much? Like Kristen Bell being in the presence of a sloth, you finally just break down and weep. Packer skewers race, expectations of our parents and class in every story. My favourite is the first story, Brownies, which I don't think I will recover from anytime soon. I finished the collection exactly ten minutes ago and my heart literally aches, literally. Gorilla, My Love by Toni Cade Bambara – There is this story in Gorilla, My Love called Raymond's Run that is about a young girl running a race, a race that she always wins so handily her teacher suggests she throws it. This time, though, there is a new girl to give her a *ahem* run for her money. And without giving too much away, it is just about the sweetest, most touching story about childhood I've ever read. In six pages, Bambara tells the perfect coming of age story with a child protagonist so unaffected, who skates the line of precociousness but never falls over to the dark side that so many child protagonists do. She is wise, but not in an adult way. She is kind but not beyond her years. She still has that whiff of arrogance and selfishness that all children rightly should have, without it ever spilling over into spoiled brat territory. She learns and grows but not any more than an actual child, an actual person would over the course of one minor event. Bambara is a master. Krik? Krak! by Edwidge Dandicat – Dandicat's stories shine with the brutality of history and of oppression but they also blossom with the beauty of mothers and daughters and traditions; the rawness offset by the future promise of healing. There is a mythical, folk-lore quality to the collection, accentuated by Dandicat's lilting, oratory style. Drown by Junot Diaz – Again, with the damn child protagonists. I swear I can't stand them, but then I just keep adding exceptions like Drown. His stories sit like a stone in your belly for *checks to see when I read first read the collection* four years. They are heavy, intense stories about growing up poor, with domestic violence, dealing with racism... They are stories about struggle but they are also laced with hope, and written with a razor sharp wit. There was ten years between Drown and Diaz's brilliant follow up, the Pulitzer winning The Brief Wondrous Life of Oscar Wao, and I desperately hope that ten years isn't his natural novel gestation period. Girls at War by Chinua Achebe – Written over the course of Achebe's career, these stories range from parables, to intergenerational struggles between father and son, to the question of human behaviour during war – all in under a hundred pages. A very powerful, poignant read. The Thing Around Your Neck by Chimamanda Ngozi Adichie – Relationships – between lovers, between parents and child, siblings, strangers – are the focal point of Adichie's collection. Blending into the cultural scenery of contemporary Nigeria and of America, the stories are rife with tension and suffused with the natural beauty of Adichie's writing. Happy Friday, everyone! May you read until your eyes hurt! Alex Snider does not have a degree in literature. This was originally posted at her blog, What Fresh Hell. You can find the rest of her Friday Fiction columns posted on The Little Red Umbrella here and find her on Twitter here. Whats the point of celebrating black history month if you're not black? I don't see the point. Besides, where my Armenian history month? Discrimination!!! !